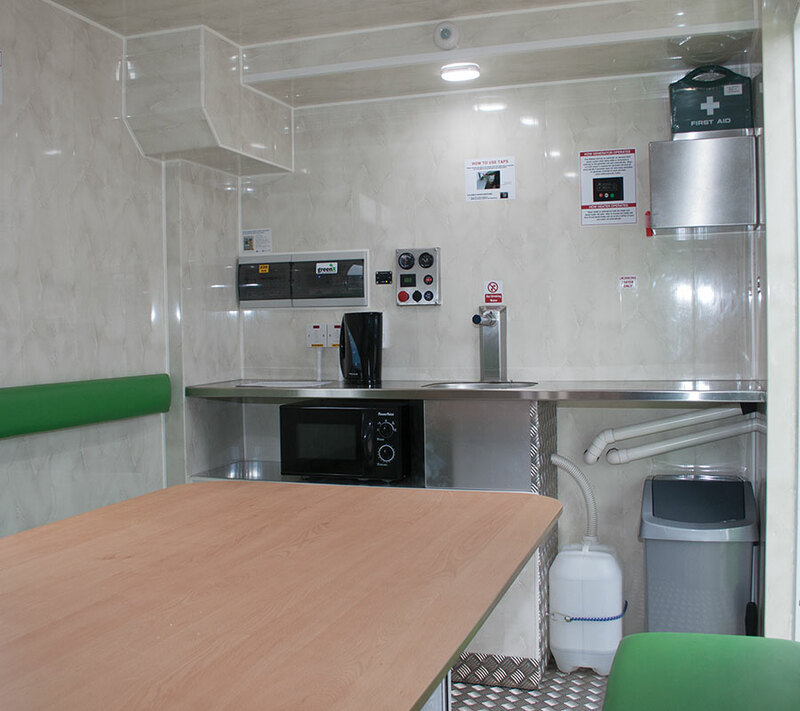 Simply the highest tech mobile welfare unit on the market, the Smart Pick has revolutionised mobile welfare in one product. No one else has a unit of this size which extends in this fashion. How many times have you had to organise large quantities of fuel and a browser in order to fuel a large multi-cylinder diesel engine generator which powers a static unit? 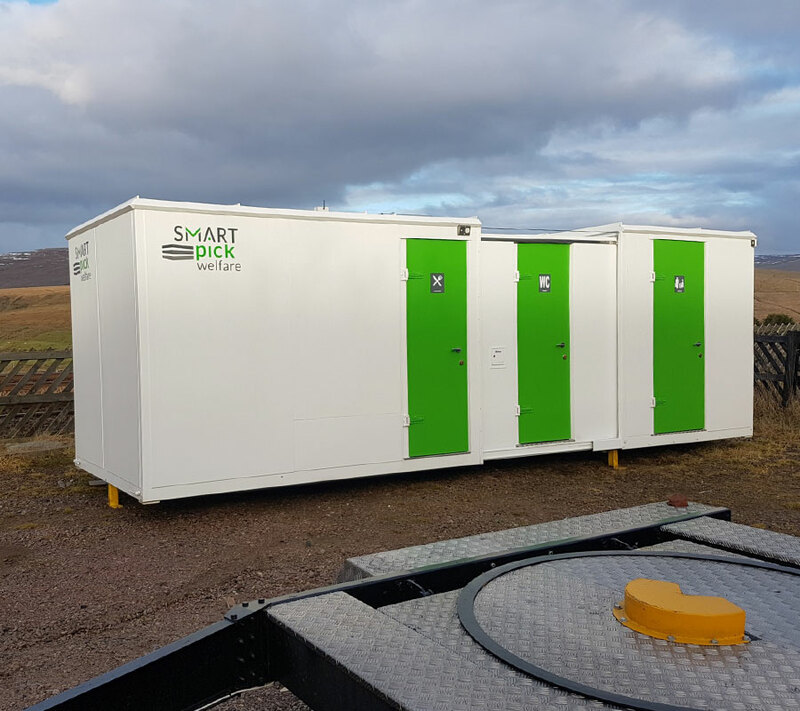 Happily, now Smart Pick is here…..
Make one phone call to Welfare Unit Hire Ltd and we will solve these problems, by delivering the Smart Pick, along with in excess of 2 weeks fuel on board as standard. The Green X power management system on board is truly impressive. 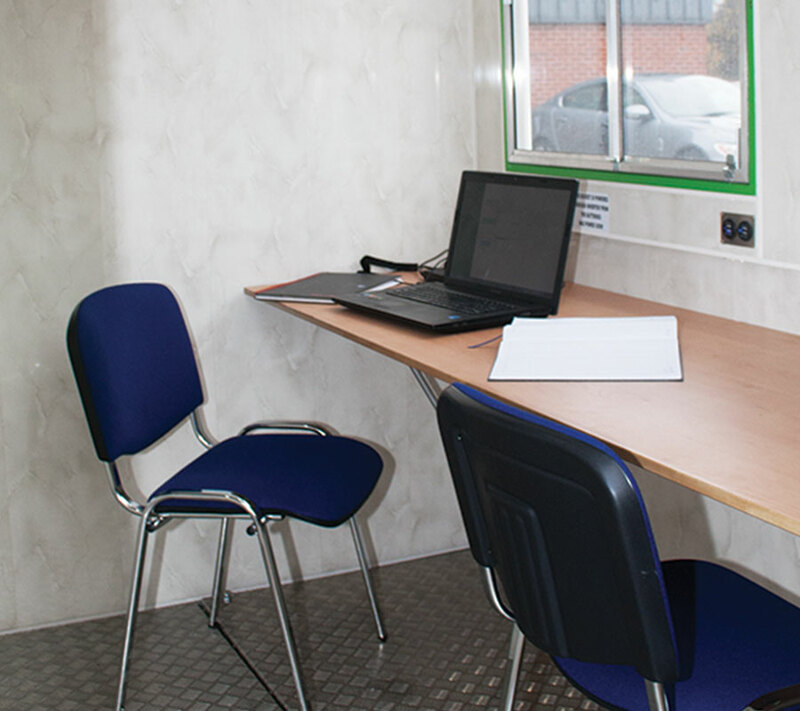 This unit is approximately £100.00 per week cheaper to operate than a traditional generator powered unit. 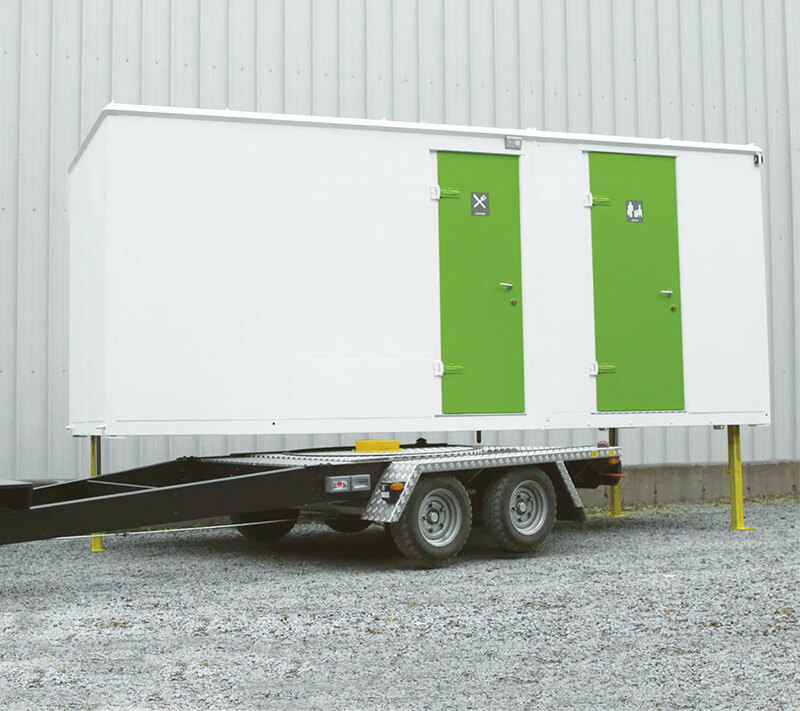 All in a single, versatile, sustainably powered unit which can be easily and quickly delivered.